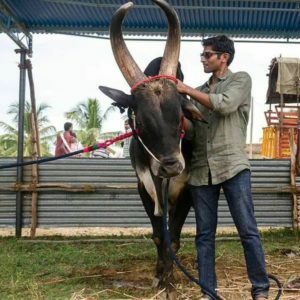 “I asked for a bull as gift from my mother after scoring 93% in my 12th standard! I love indigenous cattle breeds of India. These breeds are unique! 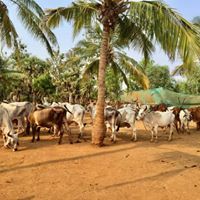 Besides I was always inclined to do something for the environment so I started chemical-free farming and subsequently established cattle farm because farming and animal husbandry goes hand –in-hand. 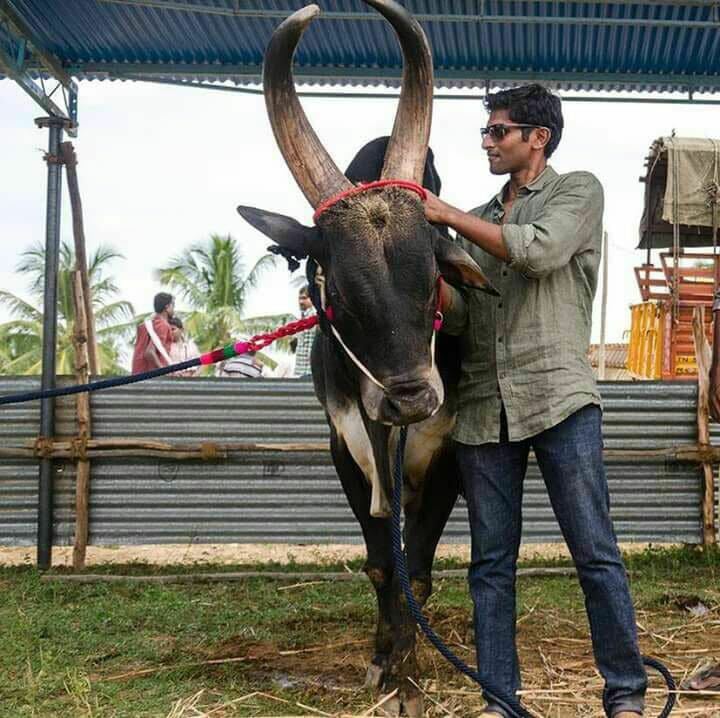 However later I focused mainly on cattle rearing,” says Mr. Raja Marthandan, 31, founder, Shudh Farms. Shudh Farms is home to three desi breeds, Kankrej, Tharparkar and Gir. All reared in traditional way and fed with only organically grown fodder. “Indigenous breeds require zero maintenance, zero medical attention, very much adaptable and survives easily even on the green fodder,” he adds. 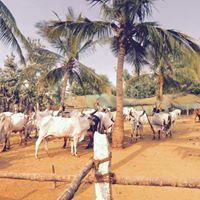 The farm is located 44 km away, on the outskirts of Chennai, Tamil Nadu. Customer base of 100 families in Chennai city gets delivery of neatly packed A2 milk at their door step before 8 AM. The milk products are sold at the organic stores. Initially the farm was started with 7 cows and now the herd size has grown to 44 cows. There are 39 kankrej, 1 tharparkar 4 gir cows in the herd. 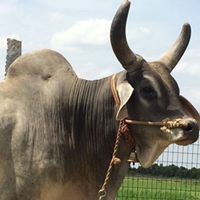 “As per my experience and opinion gir and sahiwal cows are excellent in their own regions (origin) but kankrej and tharparkar are more adaptable in any climate across the country. The drop in their milk yield will not occur when relocated as they adjust soon. Additionally kankrej and tharparkar cows are highly disease resistant breed. I say so because in five years I faced only 10 cases of mastitis disease in the entire herd and that too took place due to human error. And I opted for kankrej breed as a personal choice,” affirms Mr. Raja. Breeding is done mostly through the bull and if right technician is available at the right time then artificial insemination is also done. “I have one bull in the farm and within a month we will be having one more bull,” he states. Concentrate is prepared in the farm. It is a mix of 11 ingredients namely groundnut cake, coconut cake, sesame cake, maize, sorghum, four varieties of dal dust, salt and mineral mixture. “We buy all these ingredients in three lots in a month. We do not stock it up. It is in powder form. While feeding it to the cows we mix it up with jaggery water. We use 20kg jaggery/day for all 40 cows,” he explains. It is given in the ratio of 1 kg concentrate for 2 litre milk. Concentrate is fed to the milking cows twice a day while dry cows and bulls are fed with dry and green fodder. Cows are given a special dose of sesame cake and one kg of jaggery/day for one week post delivery. “We pack the milk in one litre food grade poly pack. As our volumes are small we have fabricated our own packing machinery. Milk delivery vehicle leaves the farm at 4.30-5 AM to supply milk at customer door steps maximum by 8 AM,” he shares. Milk and milk products are sold under the brand name ‘Shudh Farms’. Milk is sold @ Rs. 100/litre while ghee @ Rs. 2400/kg, butter @ Rs.1500 /kg and paneer @Rs.600 /kg. Immediate future plan at the farm is to increase the milk volumes to 500 litre/day and go online for direct sales. “The present sale is from word of mouth publicity so now I want to invest some time on marketing too. Besides I am also giving consultancy for setting up new dairy farms,” he shares. Mr. Raja completed his mechanical engineering in 2005 and became entrepreneur with logistic firm. In 2011 he did MBA from XLRI Jamshedpur. 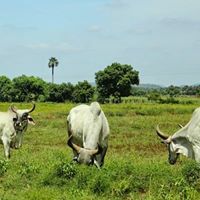 In the year 2012 he started farming as part time but then took it up full time by integrating cattle farming as his true calling had been always rearing indigenous cattle breed. He also runs Dhenu Cattle Conservation (DCC) for conserving local breed ‘Pulikulim‘. It is native breed of Madurai, Tamil Nadu. He runs DCC as genetic reservoir for this particular breed as it was under the threat of extinction due to the ban of famous sport Jallikattu. Now as the ban has been removed completely the breed has once again restored its lost attraction. He has herd of 100 cows and 9 bulls procured from 7-9 different herds.